We absolutely adored this wedding and totally wished we were one of the guests & got to experience it in person. 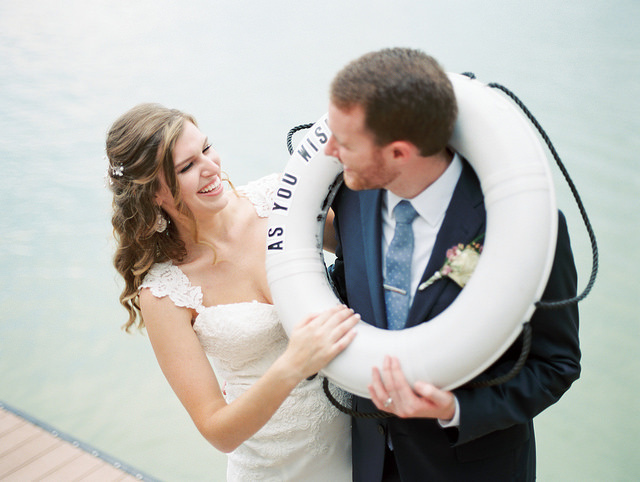 Amber and Nathan held a beautiful wedding by the lake and it was absolutely perfect. We are crushing so hard on this sweet and carefree couple – especially when we saw that last photo ? 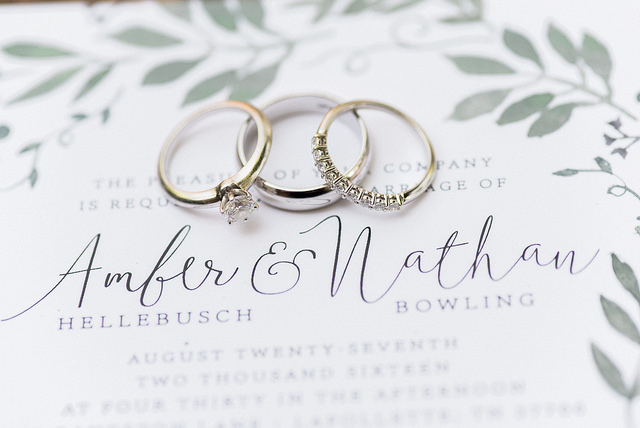 This was definitely one of our favorite weddings! 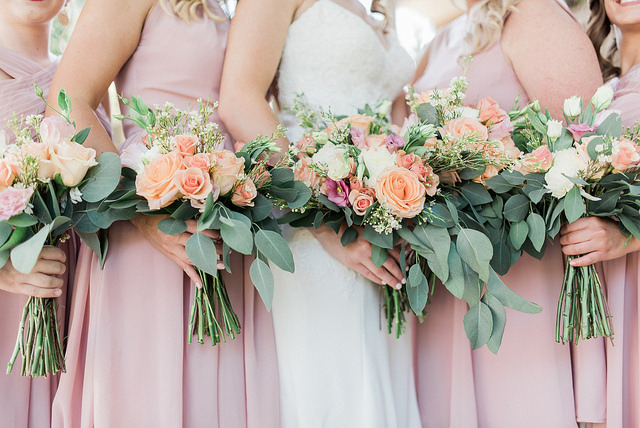 We loved the neutral blues and bridesmaids in Dusty Rose. 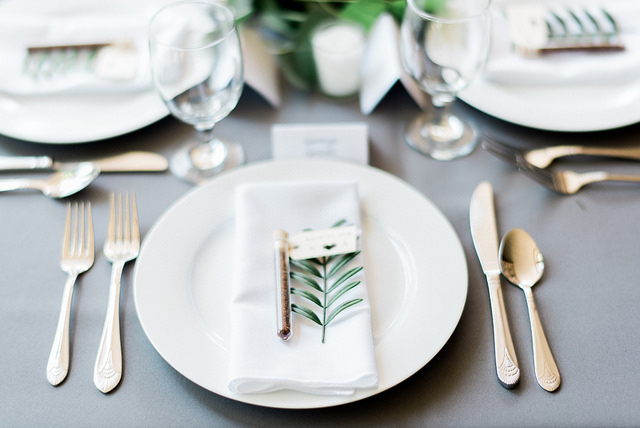 Everything was kept simple, but still elegant – major wedding crush feels. All photos courtesy of Juicebeats Photography.